"I met Vikki after suffering terrible sciatica pain in January. I could hardly walk and was suffering chronic pain. Nerve pain! After only two treatments I was back to running! I had seen numerous physios, specialists and doctors but what ever Vikki did released the pain. She is the new amitriptan in my eyes' a miracle worker! I have been suffering another running related injury and treatments have helped me put weight on my leg again. She even iced my sore ankle and really made me feel so much calmer as I was very frustrated being a sports person unable to do my activity. I continue to see Vikki as I feel her overall approach, warmth, kindness and comfortable room make the experience blissful! 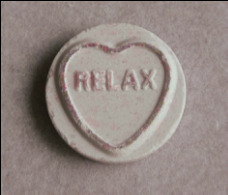 Highly recommended for pain relief and soothing relaxing treatments" Amy, Glasgow. Stressed? Headache? Tight Shoulders? Choose an area to work on to release tension within a full body sequence. Based on Swedish oil Massage sequences and influenced by the traditional systems view (Thai and Ayurvedic). 90 mins recommended. If you are being treated by a physiotherapist please check with them before you come for a massage. All oil massage clients will be properly draped at all times. Are you an active person who needs deep massage? Cycling? Golf? Running? This treatment is popular with people who enjoy sports, suffer piriformis syndrome, Thoracic Outlet Syndrome etc. Please ask to combine the deep Thai and Indian techniques as part of the Swedish treatment. Clients will be covered and draped properly for all treatments. For Running club discounts - click here. Thai massage is part of traditional medicine with its roots in the Indian Ayurvedic system. The massage is performed on a mat with clothes on. Pressure is applied with thumbs, palms, elbows, knees and feet and the body stretched and mobilised. The massage goes beyond muscles and bones to, like yoga, synchronise and harmonise the whole human system. 1-2 hours recommended. A technique from Thailand practised by farming families. This is also a Chi/Prana based system that involves tapping the body with carved wooden tools. This is often combined with oil massage. Similar to Thai Massage this massage uses foot, palm and thumb pressures to rebalance and realign the system. This is using the therapists whole body weight. 30 mins recommended. This is a very deep pressure massage, if you are being treated by a medical professional, you will require a permission letter. "Vikki's massage was the best I've ever had and I have had many. She took the time to enquire about any issues I might have and what sort of pressure and style would suit me. Her technique was quite intuitive as she managed to magically find any and all knots and spots that needed extra attention. If I were able to magically give myself a massage, this would have been exactly it! Vickki is a trained nurse and yoga instructor and the level of focus and work she put in during my massage made it apparent that she a genuine interest in helping people to feel well. Not to mention the cost of my treatment was an absolute steal! I wished I'd more to tip her because she absolutely deserved it. I highly recommend her!" Invest in happier and more productive employees!